Pick up a new Diamond shoe and you'll see the difference. Our new induction heat forging process brings you the best Diamond shoes ever made, with smoother edges, a deep crease, and cleaner punches. This new technology means you get a more consistent shoe, with holes perfectly aligned so nails go in tight and true. Every shoe is flat and even, so there's less rework, but when rework is needed, cold workability is outstanding. Diamond shoes are designed for farriers like you who demand quality and value to increase their productivity and boost their bottom line. Try a box soon. If you have any questions about this product by Diamond Farrier, contact us by completing and submitting the form below. If you are looking for a specif part number, please include it with your message. 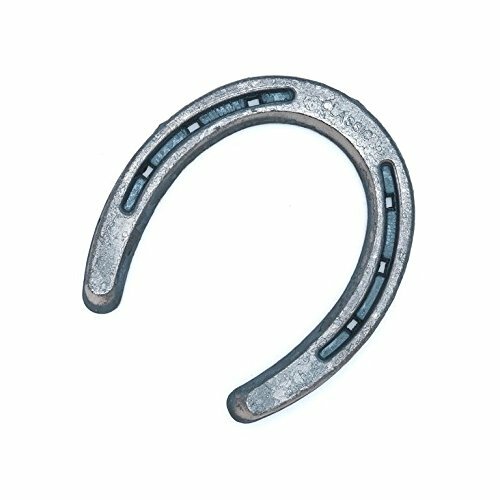 Thoroughbred Horseshoes Steel Horseshoe Stakes (pair), 1" diameter X 30" length- Made in the USA!